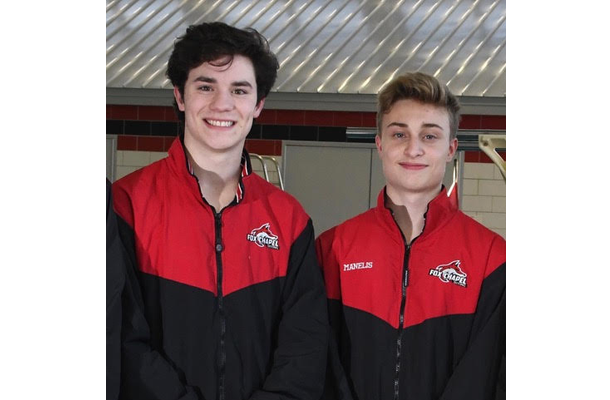 After having a very consistent high school season and receiving great scores, David Manelis felt he could do well at the PIAA Class AAA diving championships that were held March 14-16 at Bucknell University. But he never envisioned how the competition would finally end up. David, a sophomore, earned the silver medal with a score of 487.45, while his teammate, senior Jonah Cagley, who was seeded first going into the championships and is the reigning three-time WPIAL champion, medaled at fifth place. For the past four years, Jonah has been the anchor of the team and led a succession of highly talented divers into WPIALs and the state competition. He broke every school scoring record and twice earned the bronze medal at the PIAA championships. While he certainly would have loved to end his illustrious high school career with a gold medal, he is very much looking ahead to beginning his pre-med studies and diving at Duke University in the fall. Now the torch has been passed down to David, and his future is a bright one. “I was nervous at first, but after my first dives I got more confidence,” says David. “I really wasn’t paying attention to everyone else’s scores or whether I was getting a five or an eight or a nine. I was very focused on my dives, not my placement. Part of the reason for David’s early success in the postseason is due to his background in gymnastics, and it also helped that he had gained experience as a freshman when he competed at WPIALs and states. In 2018, he placed third at WPIALs and tenth at states. It’s rather amazing that he scored that high at PIAAs last year considering he was extremely sick with a double ear infection, a condition that can affect equilibrium and balance. This season, David’s dash of bad luck continued at WPIALs. He placed fourth, certainly well within the range to qualify for states, but Coach Yenick says his score would have been higher had he not hit the board on one dive. The day following the competition, however, David was just feeling very relieved and was looking forward to a celebratory dinner with his family. After that, he had to place his full attention on something completely different. 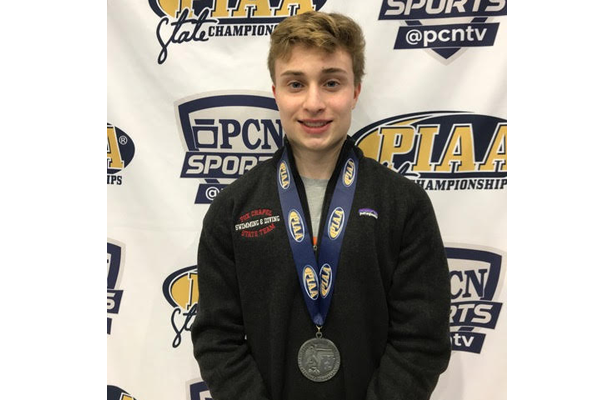 “Right now I’m just worried about getting my homework done because after being out of school for two days, I have a lot to catch up on!” says David, who now has the distinction of being only the second male diver in Fox Chapel Area school history to be a PIAA diving silver medalist.